I finished reading this simple book in flat 2 hrs time. It is a very simple read. A colloquial, comprehensible language is used throughout the book which is a memoir of a newly wed couple. Sundeep gets married to Neha, a marriage arranged by their parents. It is like any other arranged marriage where two strangers meet and fall in love with each other with time. A year or so later Neha gives birth to a daughter and their world seems to be complete and happy. But probably they were not destined to be together for long. A simple fibroid removal surgery takes Neha away from everyone and the only thing that gives hope to Sundeep during this crisis is his daughter. I found the book quite ordinary in the beginning but as it progressed and particularly after the demise of the wife, the book becomes a gripping read. Once you finish reading it and get a tear or two in your eyes, you wish to begin it again to read what you probably skipped fast in the initial few chapters. What touched me the most about the book is its purpose! The book is a true tale of a couple who get married, live happily and then one of them leaves for the other world. The husband has to now take care of his daughter who is too young to even utter the word death. I could personally relate to the book in more ways than one. I have a daughter who is as old as the author’s daughter and I also had an arranged marriage like the author did. So, the book indeed touched me. Sundeep Tibrewal, the author of the book, decided to write a book post his wife’s demise because he wanted his wife to become immortal. What a gesture! And once you know this, you like the book even more. When I started reading it, I was so irritated with the small details he had mentioned in the book. From his Atmaran uncle to Neha’s family to their excess baggage at airport to everything, I couldn’t understand why the author was going so much in detail. But when I finished reading the book, I knew why. Sundeep wanted the book to be a memoir of every single moment he had spent with his beloved wife, Neha. I am also touched with what he says in the book ‘I hope the book teaches you to not live a materialistic life and instead focus more on relationships’. Also, Sundeep said a very interesting thing, ‘it is not love that hurts, it is the absence of love that hurts‘. So true. It was the absence of his wife’s love in his life that hurt him but then the love of his family and friends and his daughter healed him. Love never hurts, love only heals. It so happens in our life that when the person is alive, we sometimes do not even acknowledge his presence but when he is gone, we repent on every single second that we spent without him during his presence. Like Sundeep says that when his wife died, he got mad at his mom for having little arguments with her daughter-in-law and he also got upset with his mum-in-law who used to spend hours talking to his wife because he feels that had she spent less time with Neha, he would have got more time with her. All in all, though the language and style of the book is ordinary, I still recommend reading it because I feel it teaches an extra-ordinary lesson in a very simple and honest way. Since the book is based on a true story and Sundeep is a living person, one can not ignore the most reasonable and the genuine wisdom the book imparts. Interestingly, Sundeep Tibrewal is an Engineering graduate who later completed his masters in the US and got his MBA from ISB. A few months after the demise of his wife, he started an online media initiative for women – Glad2bawoman. I, myself, value my relationships a lot but the book conveniently convinced me to focus on the people a little more. For these reasons, I would like you to read this book and apply the wisdom in your daily life and live an enriching, fulfilling life. To make this easy, Sundeep has agreed to give two copies of his book to two of my readers. So, two lucky readers get a copy each! a. What is the purpose of our life? b. Has life always been fair to you and your close ones? If not, why do you think life does not always seem fair? Why do you think someone is born poor and can hardly get a few meals each day or a good education while someone else is born with all the facilities in life? 3. Leave a comment on this blog post with your name and email id so that its easy for me to contact you. You can write the answers in the comments or send me the email at womanatics at gmail dot com. The giveaway will close on 12th Feb, 2013 and is open to only Indian residents. Winners of this giveaway are – Subhorup and Rajalakshmi! Congratulations. 34 Bubblegums and Candies – book review and a GIVEAWAY! I am totally touched. Will surely read the book. Ordering from Flipkart. a. To me, Life's purpose is to live every single moment. I have realised every little moment's importance after losing my mother. b. I do not know if life's been fair to me and my loved ones. But I believe God has been there with us all the time My mother used to say – "Bhagwan kharab waqt ko ache mein nahi badal sakte, wo hamare karmo ka asar hai par bhagwan kharab waqt mein hausla dete hain"
"not live a materialistic life and instead focus more on relationships" – I loved this sentence. It is so true. a. For me, life's purpose is to be happy and to make my loved ones happy. My dad, my mum, my guy.. Keeping these people happy will surely increase my happiness manifold. b. Life has always been fair to me. Because even if things don't happen the way i love right now, i strongly believe that it will turn out even better than i had imagined. Being born into a poor/rich family is not under our control but living our life with happiness and contentment is. I personally prefer being a happy & contented person irrespective of my rich/poor background. 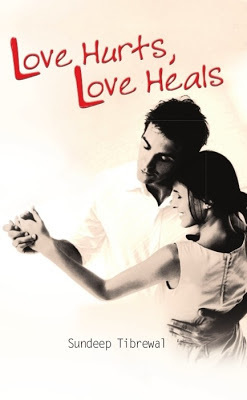 'it is not love that hurts, it is the absence of love that hurts'….so simple yet so true…I have been a silent reader of ur blog since quite few months now…i just love reading what you write..there is always a connect. a. For me life should not be lived with any purpose as such…its a gift to be enjoyed…treasure n cherish..be happy and makes the ones who loves you happy. b. again life is so different for each one of us. Whether it’s fair or unfair entirely depends on one’s personal attitude n expectation. Someone who is poor might be even content with just 2 meals he can afford whereas someone rich would feel life has been unfair to him. For me and my loved ones it’s a mix of both, whatever it is am happy with what I have thinking it could be worse. Sounds like a fascinating read. Hence entering the giveaway. Already liked your FB page. a) Purpose of life – to be happy by seeing our unhappiness as it truly is, a manifestation of our deluded attachment to the unreal. Whoa! b) Fair and unfair are judgements. At best I can say that I have not been entirely graceful about many of the life developments that I have had to face. Our circumstances are a complex interplay of cause and effect that extend far beyond our personal conscious choices. How we interpret and what we do with those circumstances is largely up to us, and in my understanding that is what sets the happy souls apart from the still struggling ones. Honestly i don't know ,If everyone on this planet know the purpose of their existence beforehand, 3/4th of them wouldn't want to live anymore ,what's the fun in knowing things before they occur.Life teaches you at every point of life,it's a never ending process till your death unless and until you have achieved nirvana or if you are the enlightened one:P(Gautama Buddha). The main purpose of one's life is to understand thyself.As of me it's just ,''play along,be unique and leave a legacy worth remembering''. ;) 🙂 And lastly i wanna read that book.